Stringing Fool: Focus on: Moving Forward! This is Week 2 of Focus on Life, the photography challenge sponsored by Sally Russick of Studio Sublime. This week's prompt asks us to choose a word to guide us through the year. For a long time, I thought I would use "follow through" or just "follow." I certainly can use to remember to finish what I have started. But follow gave connotations of being a mindless follower, and I don't want to just blindly follow anything. Maybe "finish?" Not quite right either. And then it came to me. Forward! I had already taken a picture of a "one way" sign with some idea of using it to make a series of arrows. Or something. I decided to stay with the sign. but somehow did not want to have the arrow pointing left. Picmonkey to the rescue! I flipped the cropped sign photo upside down. Hmm, what's missing? I liked the sign upside down, but it really conjured up too many alternate meanings. Aha! Plaster the word "Forward" on it. ... it's really just about taking something and making it MINE! I am seeing a theme in the few posts that I have read so far. Moving forward, brave, will...this common thread has to work! Best of luck in Moving Forward! What a fantastic pic! I love the upside down version of the sign!!! That is a great word and I love the upside down picture. I agree that we should move forward with our endeavors. Upside down, left or right. It doesn't matter as long as you move forward. A great word and a great photo!! Forward IS the way to go! Forward - what a great word! A reminder to keep moving, and keep each day good. Great photo and forward we go through our year of photos!! Lame? No way--I think it's a clever way to represent your word. I need to adopt this word myself. What a creative way to put your photo w/your word - awesome! Here's to moving forward and having an amazing year! Ooooh, I am so inspired by all this creativity! I *adore* how you flipped the sign to make it work! Love the creative way you showed us your word - I love it! I also love your word "Forward". Keep moving forward and get the job done was my mantra in the military and it helped out a lot. I hope your word helps you this year! Beth! 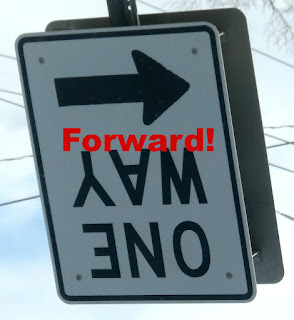 Great word, "Forward" and I love the change of perspective by just flipping the sign upside down! Keep moving forward, it's the only way to achieve anything!! Love the creative changing of the sign~ march on! Great word Beth and one I am sure you will live up to. Great word! I hope to always be moving forward. I love the creative photo! I would suppose to our minds the arrow should point that way since that's the direction we read. I wonder if we were on the other side of the world reading the opposite direction would we think the opposite? hmm. It's neat flipped, gives me the feeling like, "who cares where everyone else is going, or where they may be looking in from - I'm going forward!" FORWARD through 2013, FORWARD forever!! Best Wishes! Love your photo Beti ... very clever! The perfect way to capture the perfect word! I like the idea of taking something and making it your own and your word and the way you portrayed it does just that. I agree Forward is much better than Follow! It demonstrates your will and desire to accomplish and achieve! Best wishes as you move Forward in life! I like forward...wishing you all the best in 2013! Great word, strong and determined, undeterred and focused, I like it!